Create an inviting and intimate area for you and your friends and family to relax and dine outdoors with the addition of this stylish dining set. This dining set comes with one 60-inch diameter round table and six matching chairs, giving you plenty of room. 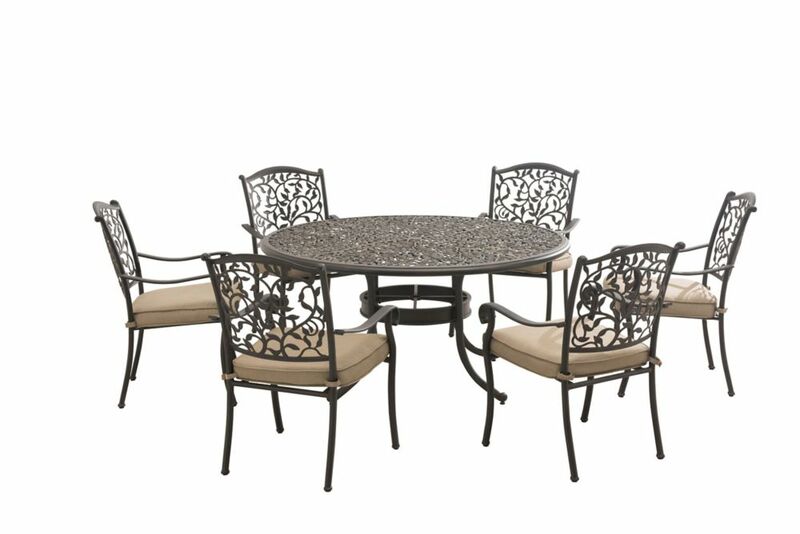 Louise 7-Piece Patio Dining Set with Round Table Create an inviting and intimate area for you and your friends and family to relax and dine outdoors with the addition of this stylish dining set. This dining set comes with one 60-inch diameter round table and six matching chairs, giving you plenty of room.